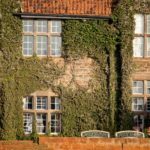 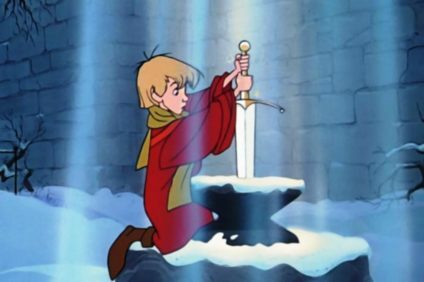 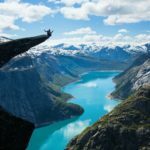 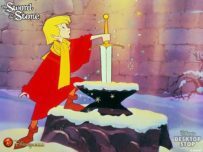 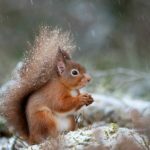 When I was a child one of my favorite animated movie was “The Sword in the Stone” of Walt Disney and the title of this article made me run back in time; of course, a village in the rock is much harder to imagine than a sword …. 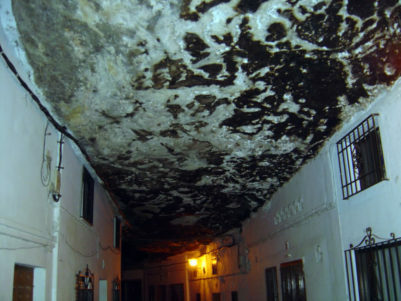 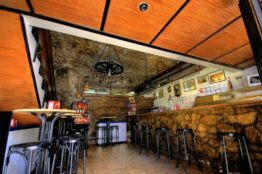 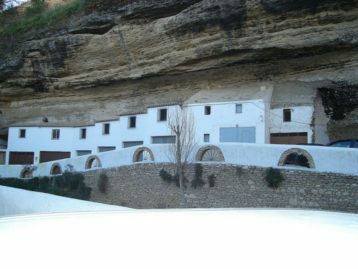 But it really exists, it’s name is Setenil de las Bodegas. 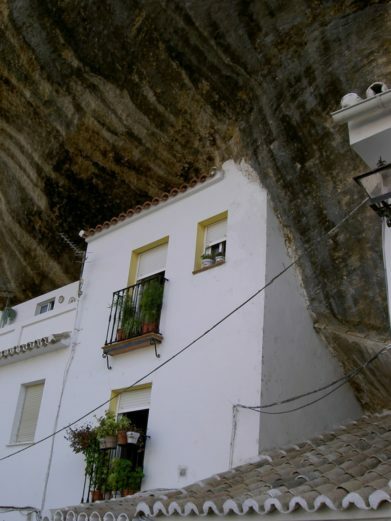 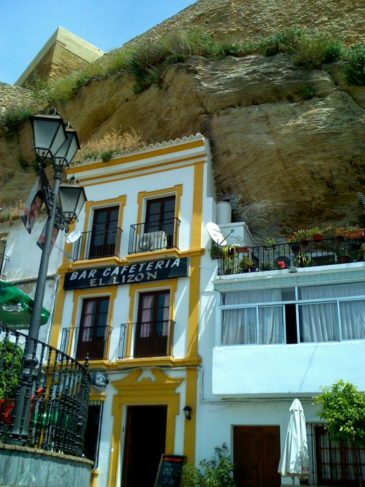 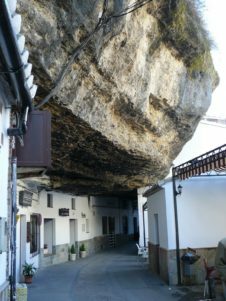 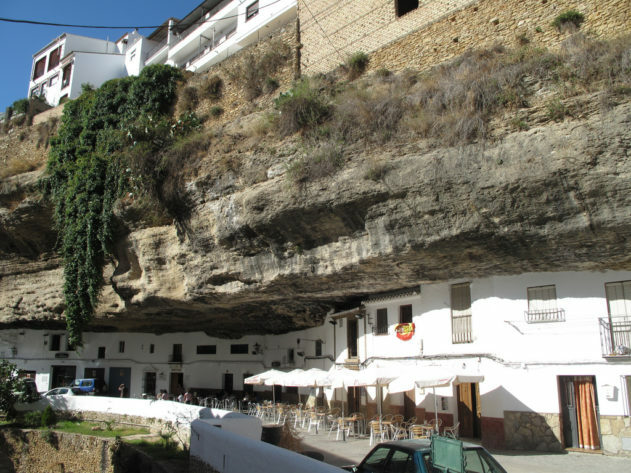 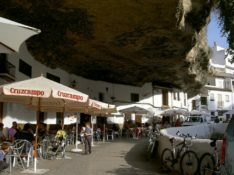 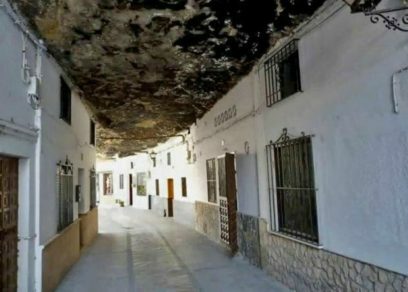 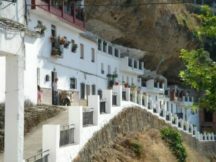 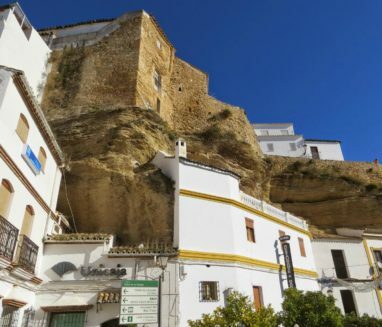 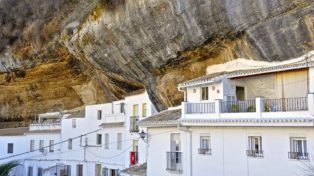 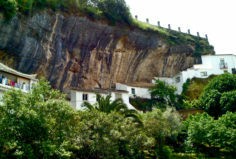 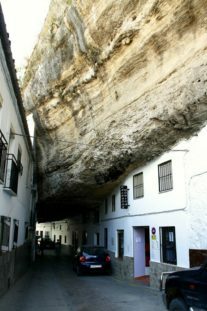 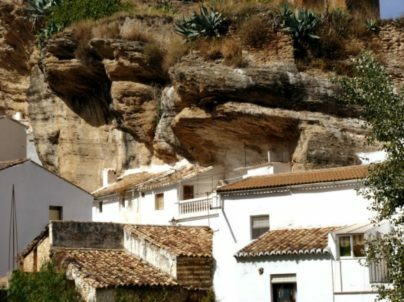 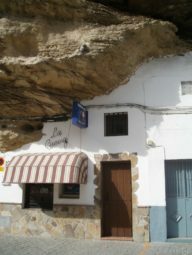 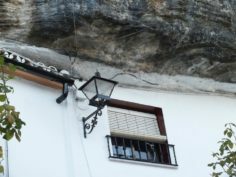 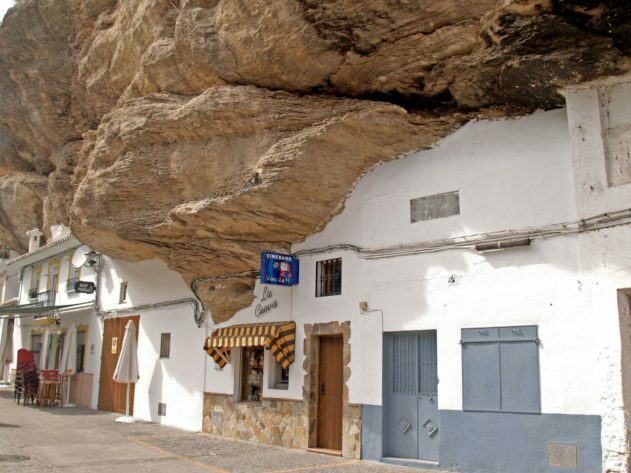 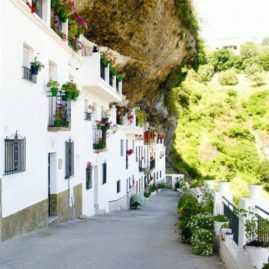 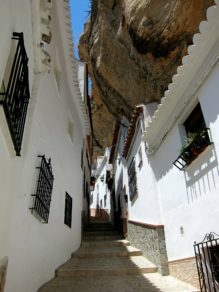 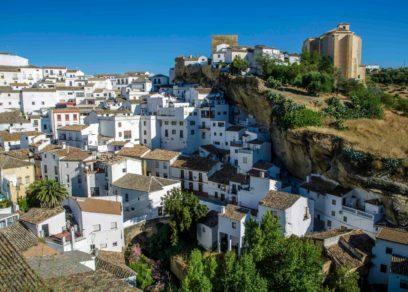 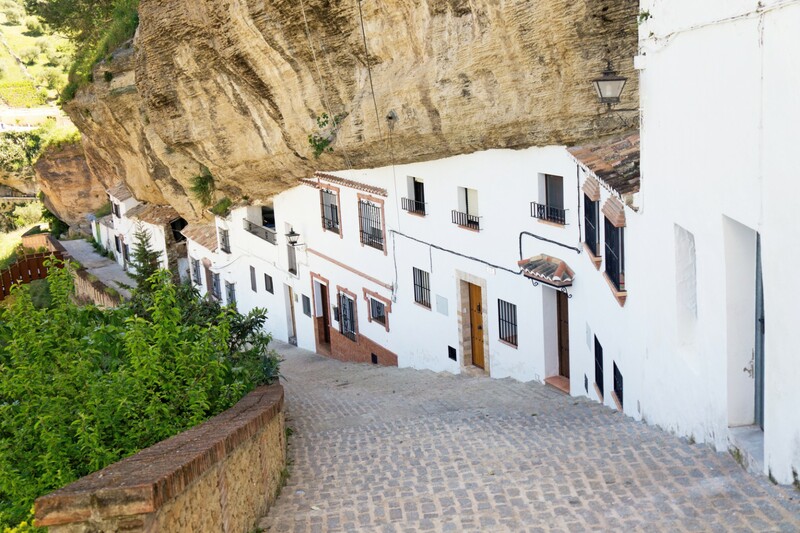 It is an incredible village located in Andalusia, Spain, that “lives together” the rocks… more precisely the rocks are fully part of the town! 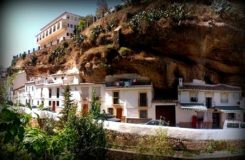 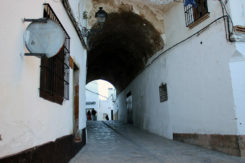 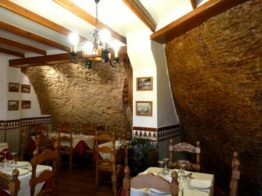 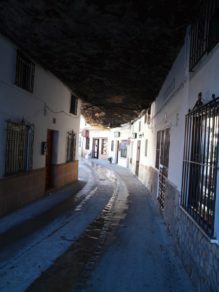 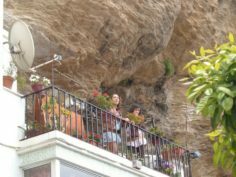 Setenil is a very strange village because who doesn’t know the history doesn’t understand if the rocks had “incorporated” the houses, the streets and approximately 3000 residents, or vice versa …. 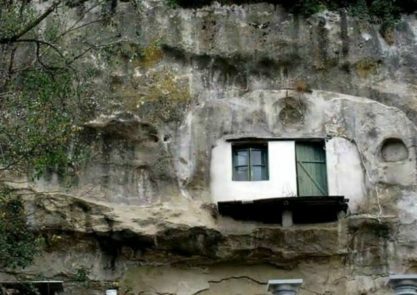 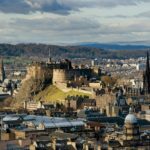 And for those who live in the oldest buildings, this cumbersome presence doesn’t cease when they return home because many of them have one or more walls made of rock! 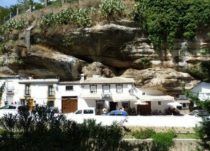 Observing Setenil from a distance seems that the rock is alive and attacks the town! 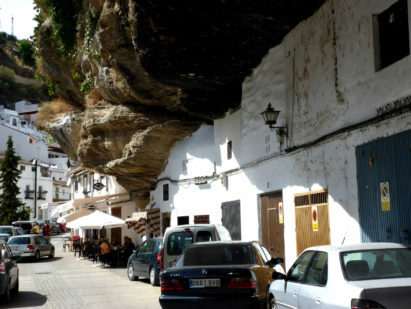 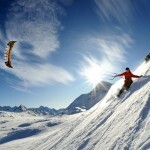 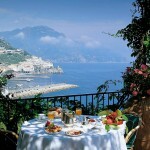 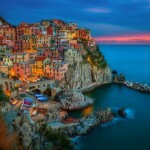 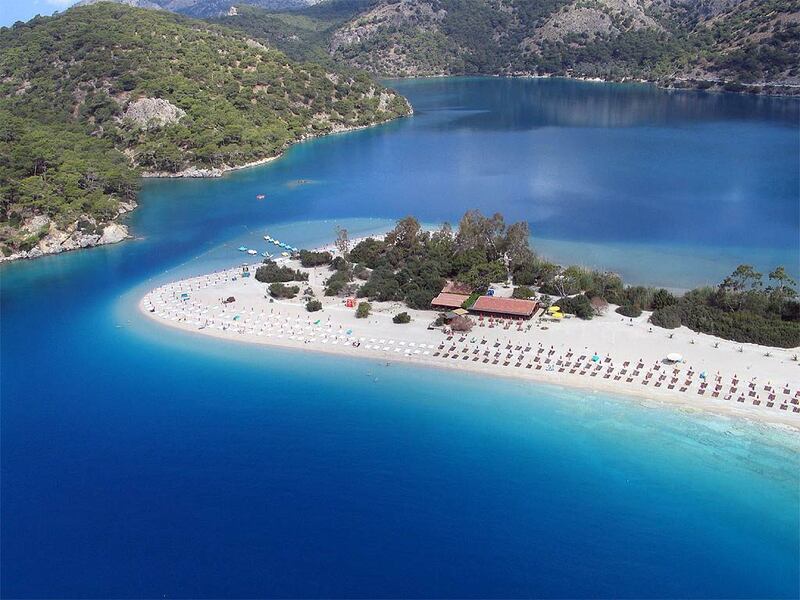 In reality the urban development of the village is directly son of prehistory! 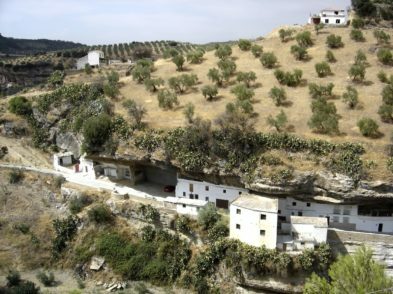 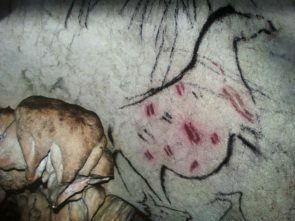 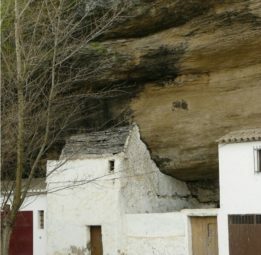 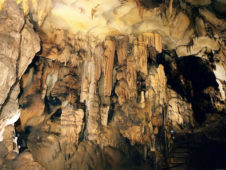 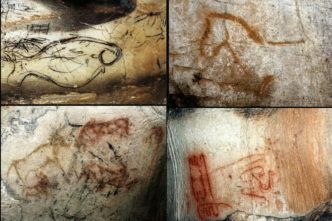 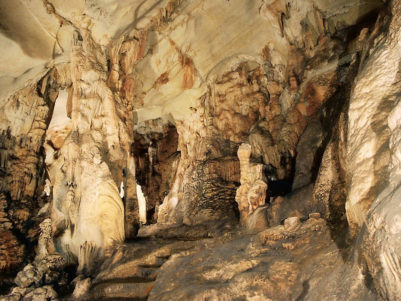 In fact at time of prehistory, humans lived in caves and, particularly in this area, trying to shape them according to their needs, as you can see from the paintings found in the Cueva de la Pileta, a cave where remains of habits populations of more than 25,000 years ago, have been found. 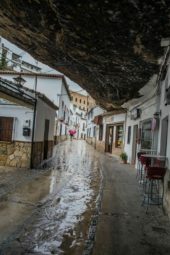 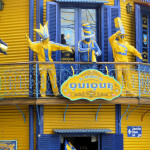 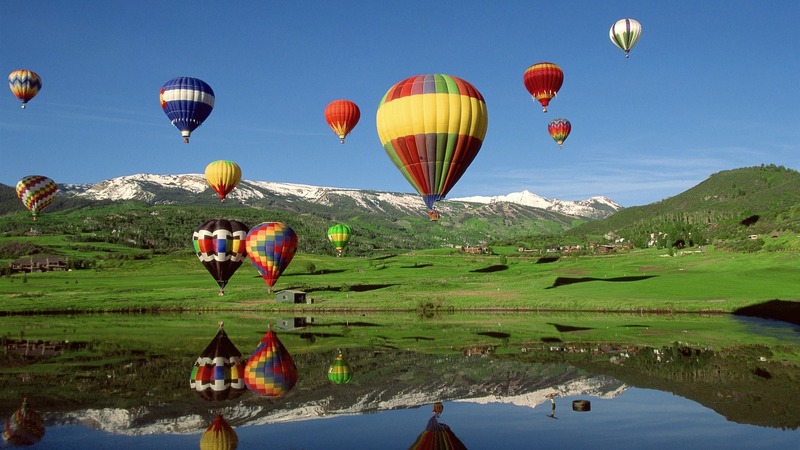 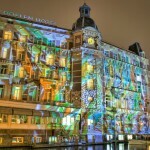 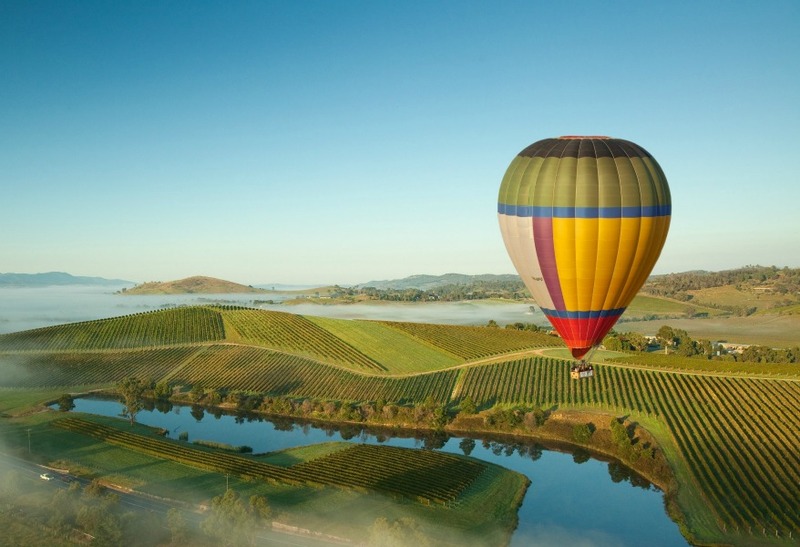 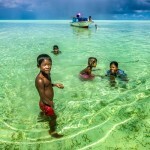 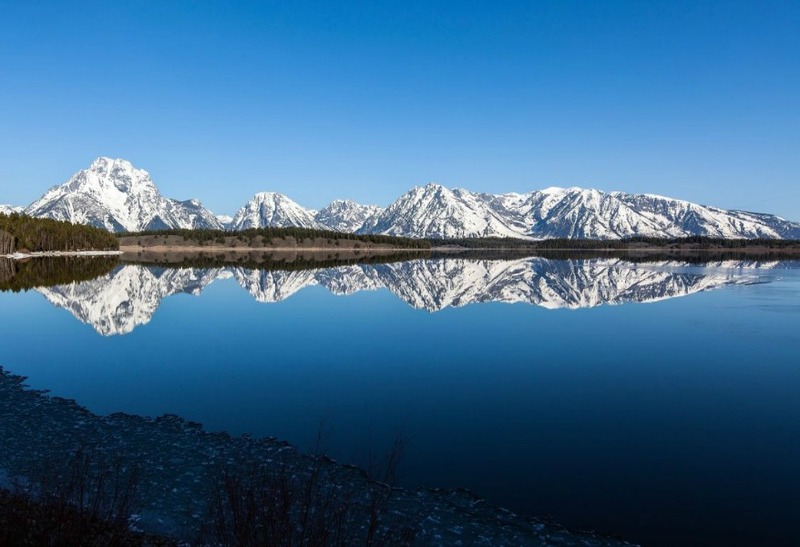 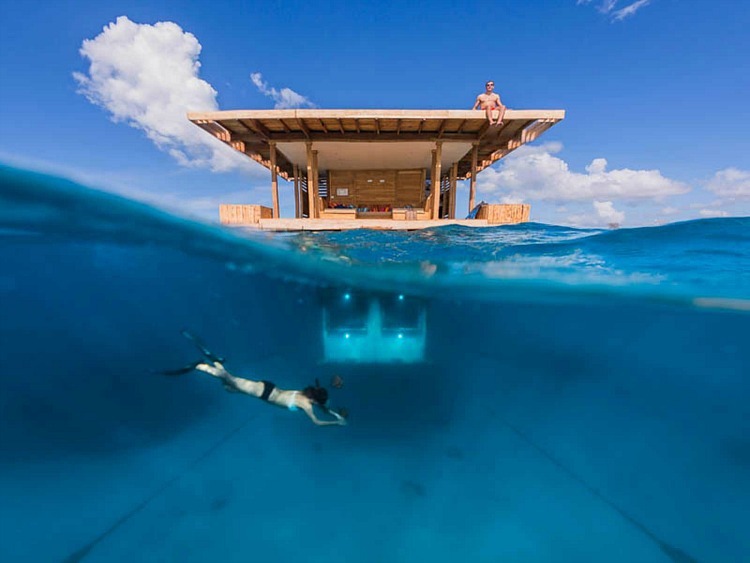 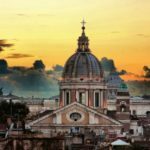 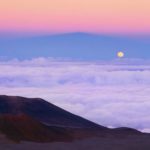 It‘s possible to say that one of the strangest parts of the world is an example of coexistence and mutual respect between human and nature, a kind of urban development sustainable …. 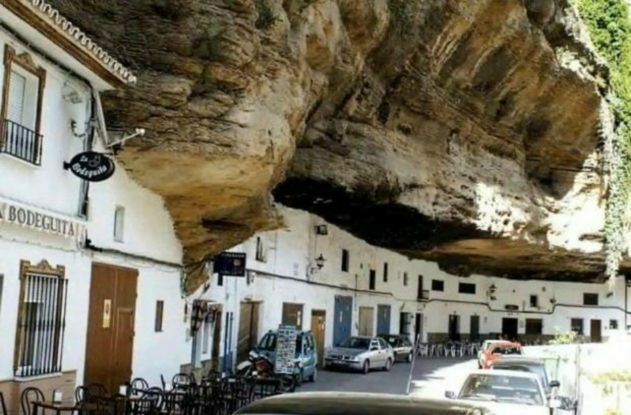 For the inhabitants of Setenil it’s not a problem! 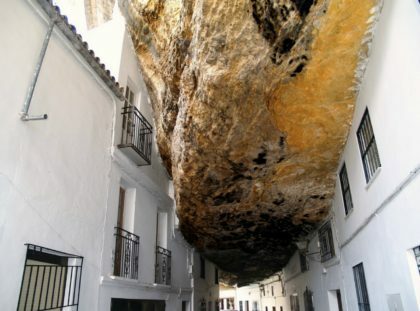 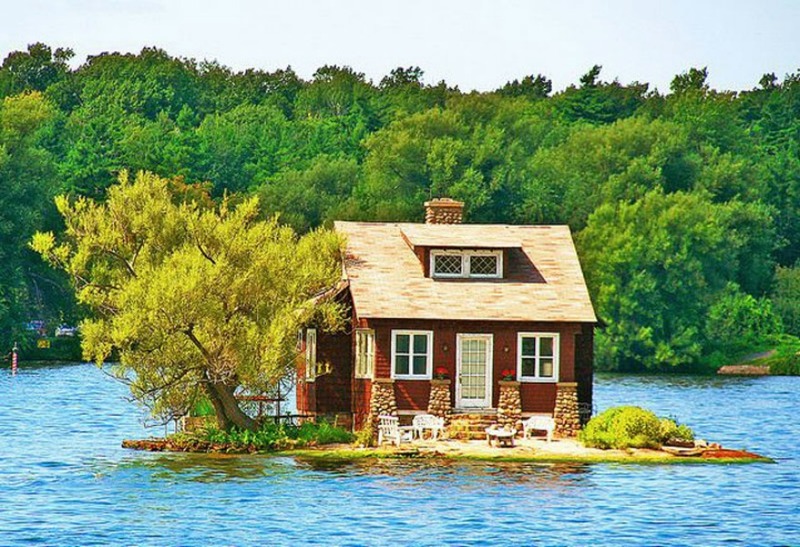 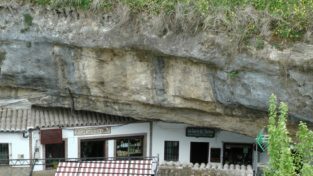 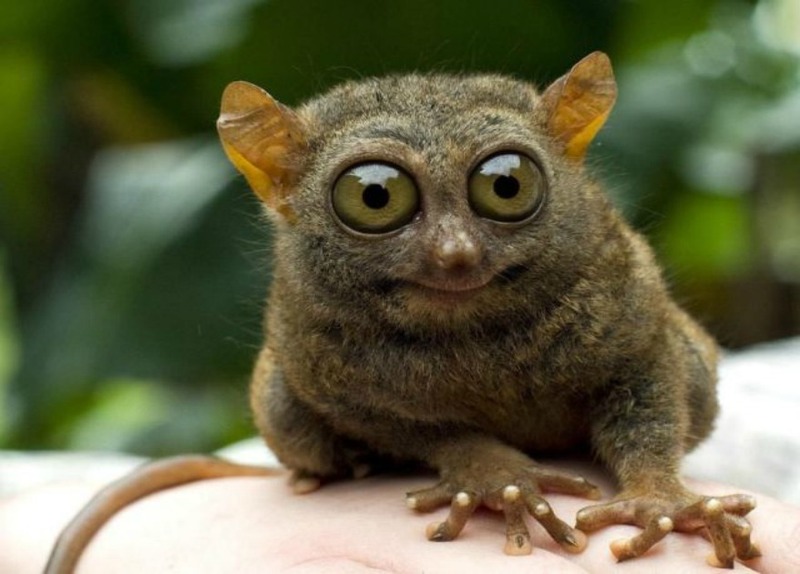 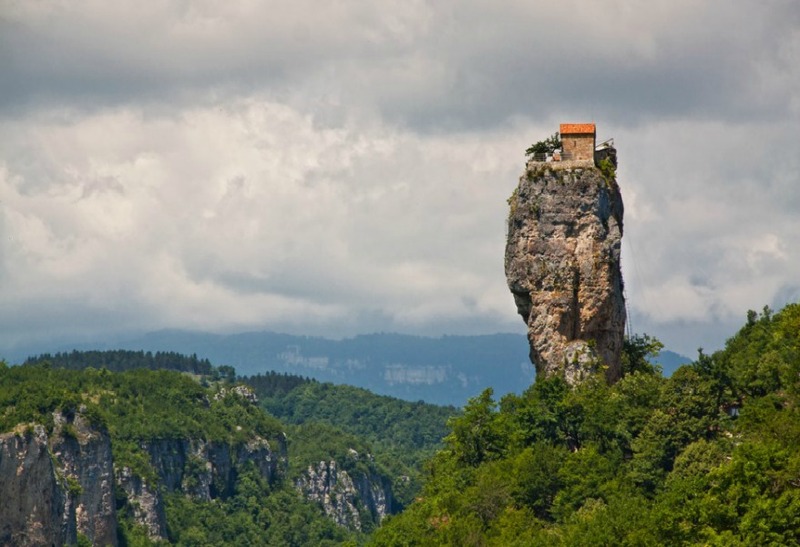 They are used to live together the rock, but sometimes some visitors are nearly fainted when walking through the streets they have raised their heads and they have seen an outcrop rock of several tons, which seemed to caress the roofs of the houses!